Over four decades Lee Tribe has explored scale and mass in open, lyrical compositions, as well as dense constructivist forms that seem to gather every scrap and chain in their path. There has always been an interest in abstraction, as well as figuration. Given his expertise and facility in the art of welding and forming his material, Tribe has found a new, expressive freedom in the innovative small-scale work presented here. The psychologically-charged physical weight and scale of his previous work has vanished. This new series of abstract figures, The Bathers, could be called drawings in steel. After learning that he needed hand surgery in 2009 due to the overuse of industrial tools, Tribe was forced to lay down his tools after 40 years of intense work. During this period of reflection, he made large, dark drawings in charcoal. 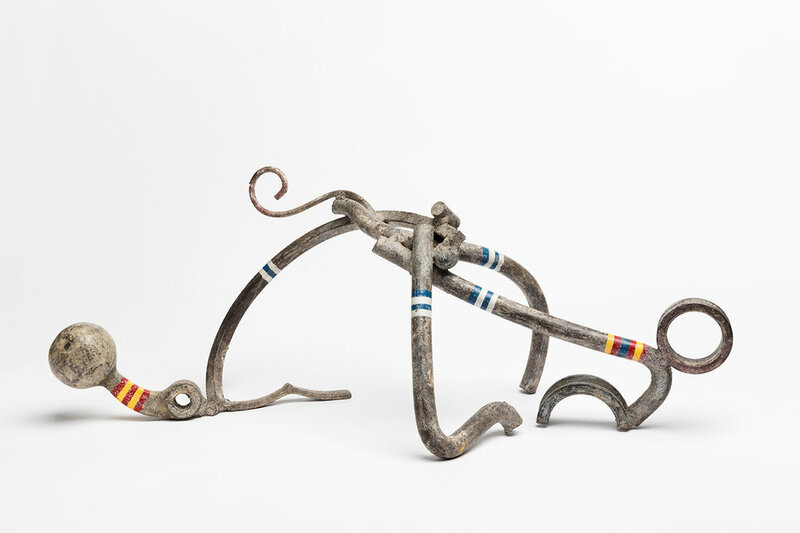 When his hand was healed, Tribe returned to his studio to find that it was not his unfinished large-scale sculptures that attracted him, but rather the smaller shapes of miscellaneous steel lying on the studio floor. As he began to tack these “found” pieces together, he unlocked a joy in creating reductive, jolly figures at play. 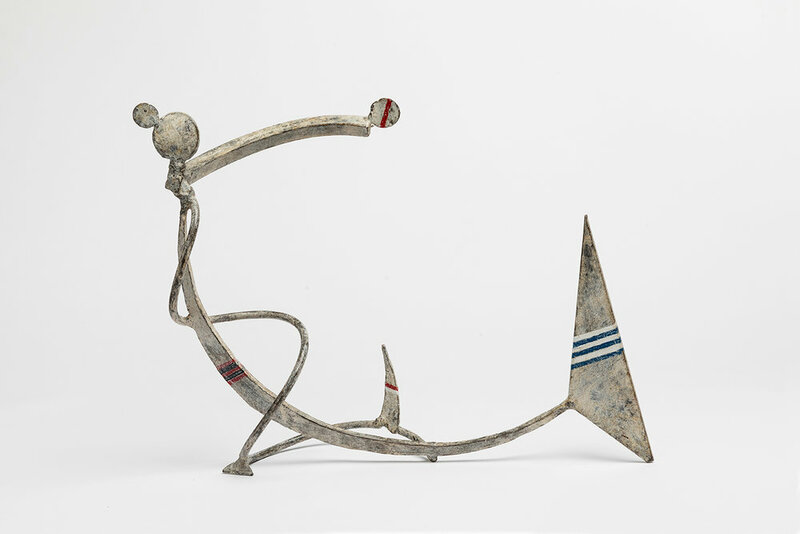 Inspired by childhood games and memories of playing on the banks of the Thames, as well as by Picasso’s painting, The Bathers (1918), Tribe re-created and sculpted memories out of thin steel lines dancing through the air. By folding, curling, and twisting the ribbons of steel-and adding bands of painted color-each tableau springs to life composed of ocean waves, fish fins, buoys, beach balls, and sails. They are breathtakingly light and joyous.